On September 19, 2018 Emeka’s apartment building, along with all of his belongings were destroyed by a fire. A few weeks ago before that his van that allows him to drive himself was totaled and needs to be replaced. He is a person who is constantly doing for others and now needs our help! Emeka has been an asset to the Tulsa community by being an advocate for the physically challenged and countless other community projects. He also has been heavily involved in raising money for the Tulsa United Way, is a part of Tulsa Beyond initiative to redesign and reimagine Tulsa high schools, and is on the Board of Trustees for Tulsa Transit. He serves as a councilor for displaced, and troubled youth and Emeka inspires, encourages, and educates students and fellow citizens as a motivational speaker. 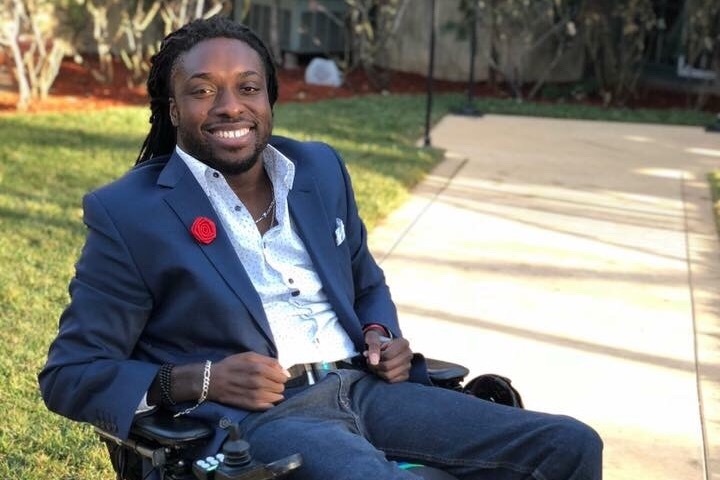 Emeka was injured in a Oklahoma Thunder football game 9 years ago and uses his experience to motivate people to not let their circumstances define them but use them to propel them to do and be better. Please help however you can and share! Donations can also be made at Tulsa Federal Credit Union!